If you have lived with your cat since it was young then you have a good understanding of what is normal for your cat in the way of behavior and habits. Any changes in their behavior or habits can be a sign of illness. Because signs of illness in cats can be so subtle, even the most astute owner may miss some of these changes especially when the onset is so gradual. For this reason, it is extremely important to bring your cat to your veterinarian annually until 8 years of age and then semi-annually after 8. During the visit with your veterinarian and their staff, you will review habits and behavior that may signal changes in health. This review will prompt you to think about what is going on with your cat and have a different perspective which may help in identifying signs of illness. In addition, your veterinarian will perform a physical exam which will play a significant role in determining where your cat is in the aging process and what can be done to keep it as healthy as possible for as long as possible. A focus of senior cat veterinary appointments is to identify illnesses which may be in an early stage and set up a plan for treatment and management of any symptoms that may be causing discomfort. There are many illnesses which can be managed with diet and sometimes medications may significantly improve the wellbeing of your cat. It is through the partnership of cat owner and veterinary team that we can best address and manage senior cat issues for the best outcome. The most important role when caring for your elderly cat is being aware of their behavior and habits. Their needs may change subtly over the years but they still require the basics of cat care including social interaction and an enriched environment. While older cats may sleep more, they still need interaction and a stimulating environment to keep their bodies active and their minds engaged. Cats of all ages need a stimulating environment to keep healthy. Especially for indoor cats, the need for engagement is very important. All cats need to hunt and play and interact. Understanding your expanded role in the life of your elderly cat is essential to helping them age gracefully. At your next appointment, one of our veterinarians would be happy to give you some insight and guidance on how to ensure your cat enjoys a smooth transition into its elderly years. The American Association of Feline Practitioners recommends that senior cats be seen by a veterinarian every six months. Because cats age faster than people, that means almost two (kitty) years will pass between visits. It is important to monitor elderly cats in between visits, because cats are very good at hiding symptoms of disease or illness. As cats age, illnesses become increasingly common. Therefore, it is reasonable to expect that mature cats, senior cats, and geriatric cats will likely begin to develop one or more conditions that will significantly affect their quality of life. Additionally, wellness visits for senior cats can also include vaccinations, parasite prevention, and treatment for any specific conditions that your senior cat may be developing. Senior cat food is formulated specifically for the nutritional requirements of aging cats. It can be served in dry or wet (usually canned) form. Because aging cats require increased daily water intake, serving canned food and/or leaving multiple water dishes around the house is always a good idea when possible. Feeding small, frequent meals 3-4 times a day will help senior cats digest food easier than serving fewer, larger meals. As cats enter their senior years, those who have addressed dental care with regular dental checkups throughout their life, have a significant advantage over cats who have ignored their dental issues. Regardless of whether dental care has been a mainstay of your cat's preventative program, it will be extremely important as it ages. Dental disease is a gradual but painful degenerative condition. Living with chronic pain is very stressful and will significantly impact your cat's well being. Of course your cat won't let you know that they are in pain, however the fact is that all cats over 4 years of age have some level of oral health issues, and these conditions do cause significant pain. If your cat has not had a dental checkup in over a year, they are definitely due. Schedule an appointment today. If you witness or suspect any changes in behavior or routine for your mature, senior or geriatric cat, we recommend making a veterinary appointment immediately. Partnering with your veterinarian is the best way to enjoy your cat's senior years and allow your cat to age gracefully and comfortably. During your regular visits, quality of life issues will be addressed. Along the way, you will make health decisions for your cat with the help and guidance of your veterinarian. At some point, you may be confronted with serious health issues and may need to address the need for diagnostic testing and possibly procedures for your geriatric cat. 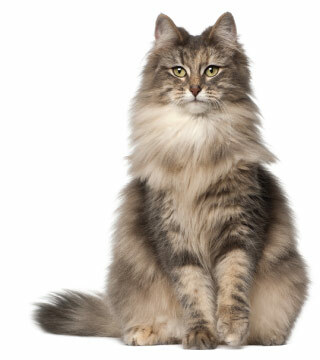 Is your cat experiencing any pain and if so is the pain well managed? Is your cat's appetite normal and it is able to eat normally? Is your cat interacting with other pets and family members as usual? Does your cat have more good days than bad days? Does your cat follow predictable routines for sleeping, resting, grooming, eating, playing and socializing? If you are having trouble discerning the answers to any of these questions, our veterinarians are here to help. Partnering with your veterinarian through your cat's senior years will make the final decisions more gradual and gentle. End of life decisions are always difficult but when you feel supported by our veterinary team, you will feel more comfortable and accepting of your choices. At Animal Wellness Clinic of Tamarac, our compassionate and supportive veterinary team is here to help you in any way that is in the best interests of you and of your feline companion. We understand this is a very difficult time regardless of the situation. You have lived with your cat for a long time, you have a strong bond with your cat and the grief process is real and should be taken seriously. Please contact us for information about end of life services including grief support. We are here to help our furry feline patients age gracefully, peacefully and comfortably by offering comprehensive senior cat care services. Aging cats rely on the love and care of owners and a good veterinary support staff as they grow into their later years. We have helped better the lives of thousands of aging cats, while bringing peace and happiness to their human caretakers. Schedule a veterinary appointment for your senior cat today!